STAY FOR ONE NIGHT, SEVERAL DAYS, A FEW WEEKS, OR LONGER. 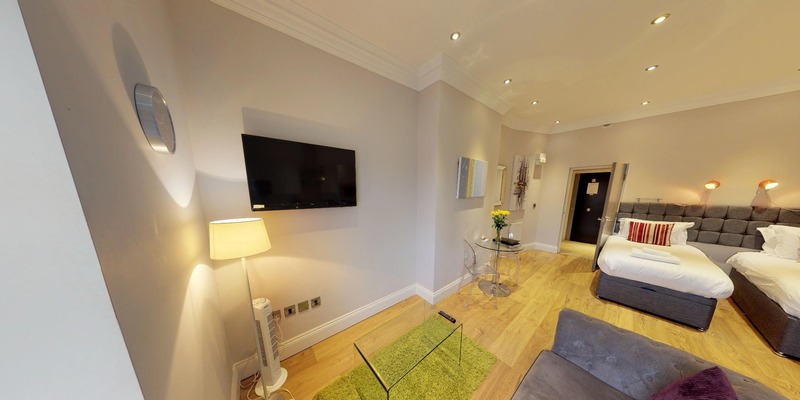 Book online through our website for the BEST RATES! You will not find our apartments cheaper elsewhere! 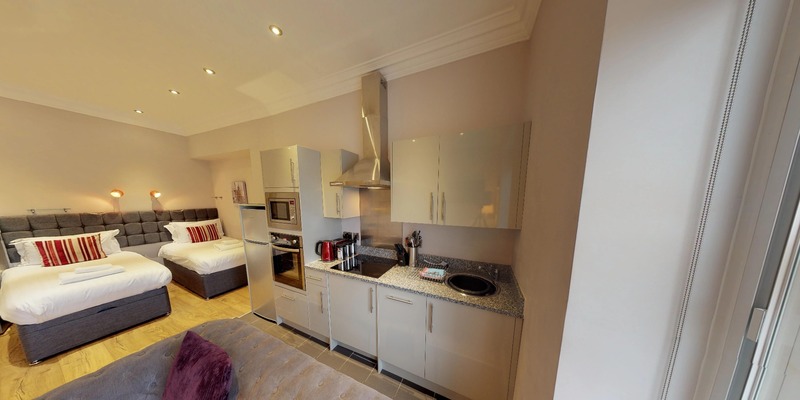 We have several apartments of this type in the building which vary in layout and colour scheme but this Virtual Tour gives an accurate representation of the quality, style and finish you can expect from our serviced apartments. 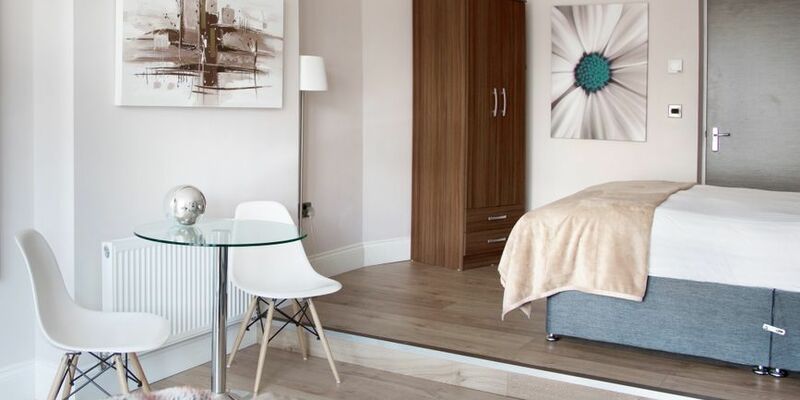 They are a true reflection of the apartments we offer, which are all very quirky and stylish, just like our fantastic building. 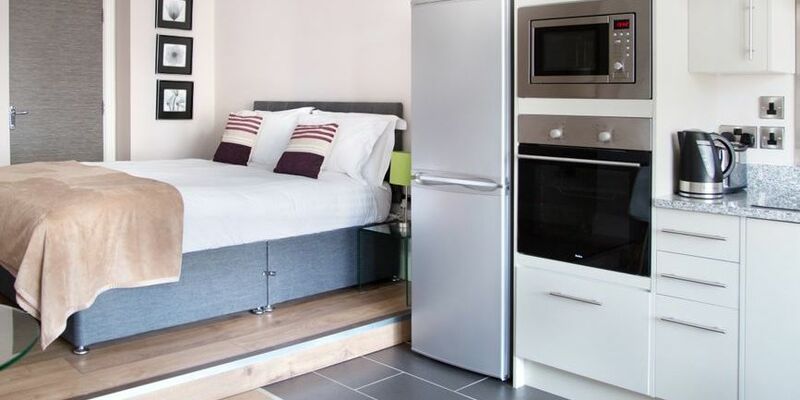 TRIPADVISOR HAVE AWARDED OUR APARTMENTS WITH A CERTIFICATE OF EXCELLENCE FOR 2018! 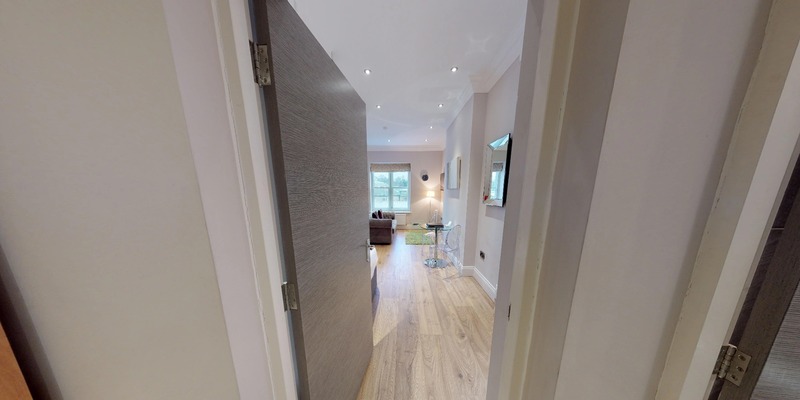 Our Stylish and Contemporary Luxury Studio Apartments are open plan and spread over 4 floors. There is a lift in the building. 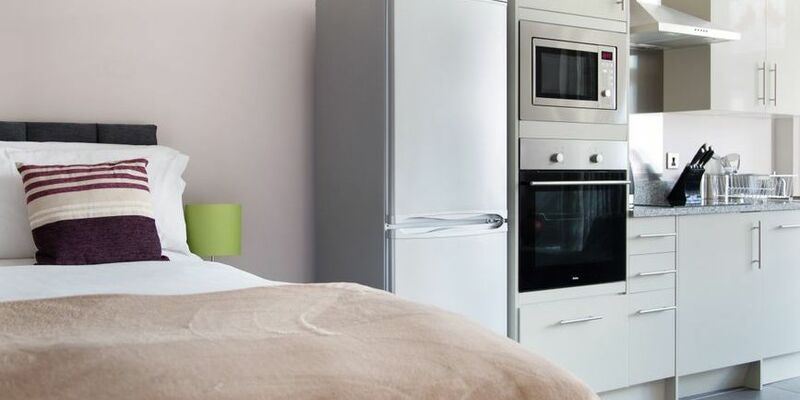 The layout consists of an open plan fully equipped kitchen with granite worktops and a living/dining area. The living area has a sofa, dining table and chairs and a comfortable bed(s) with soft linen. The bed(s) will be made up ready for you on check-in, and most can be set up as a king size bed or two singles. 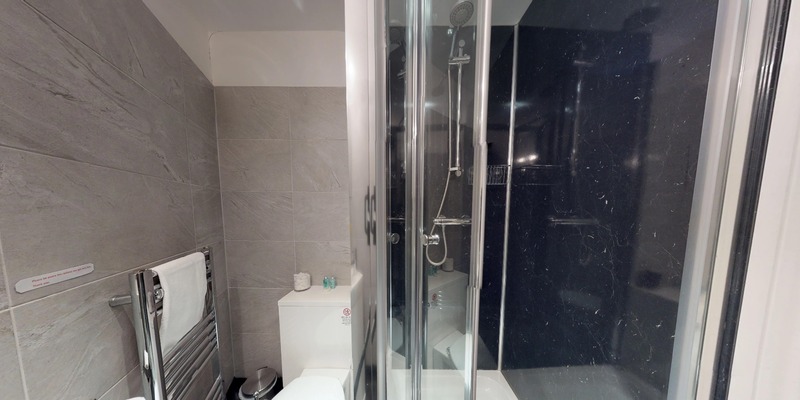 There is also a compact but well designed fully tiled bathroom in each apartment, with fluffy towels and luxury toiletries. 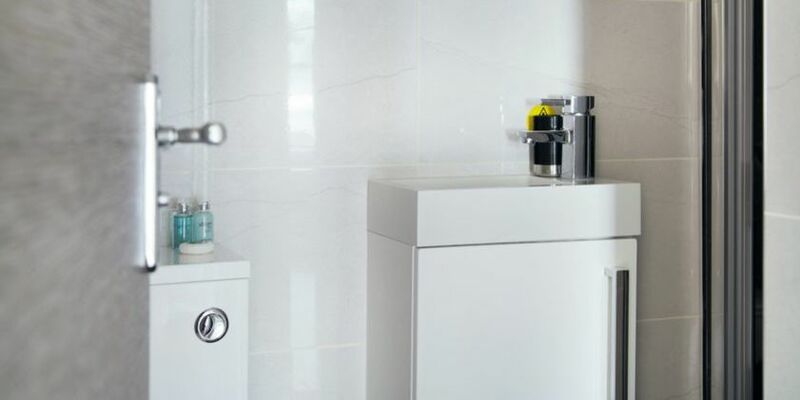 (WC, small wash Basin and Shower). Breakfast packs are available to order 48 hours prior to your check-in and can be in your apartment on arrival ready for you to enjoy in the morning. There is Free Wi-Fi and a TV in the living area. We have even partnered with some local restaurants so our guests can enjoy exclusive savings dining out. There is convenient parking next to our apartments at the Jubilee Multi Storey Car Park. On our location page we include information on more parking options in Harrogate, including where to park on-street for Free. You may check-in anytime after 3pm on the day of your arrival. All guests must have checked out by 10.30am on the day of departure unless you have added a 11.30am late check-out to your booking available for £10.00 as an added extra. 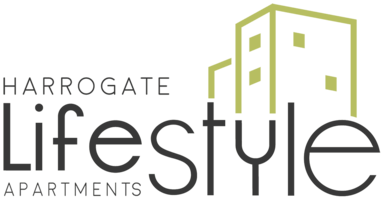 We hope you enjoy the Harrogate Lifestyle in our apartments. 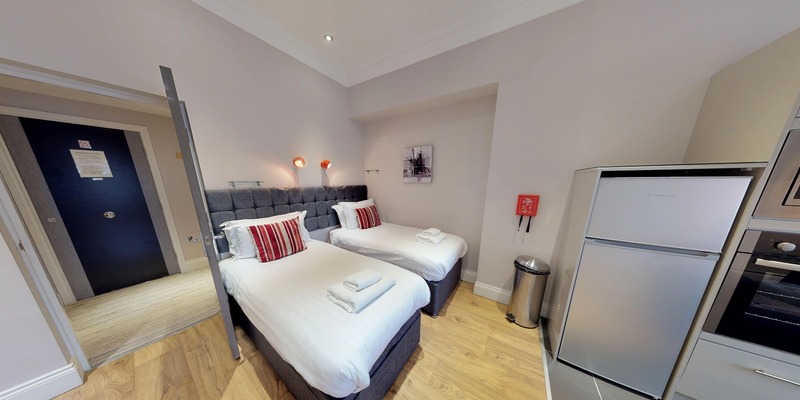 *Twin beds offered subject to availability and must be requested at the time of booking. There is no capacity for extra beds. 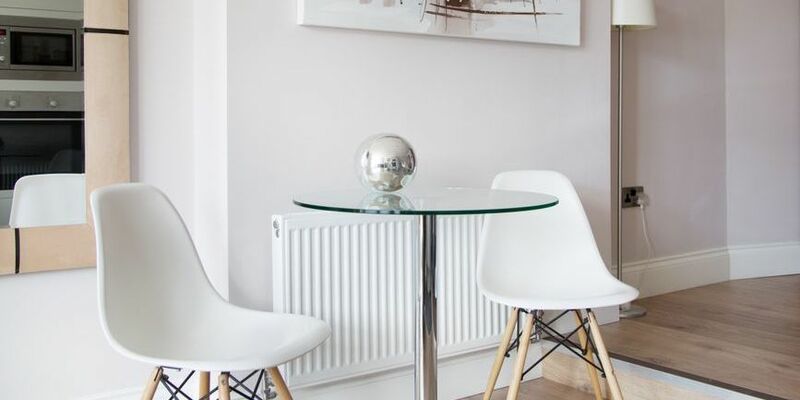 FREE Wi-Fi (the network is Virgin via Bitbuzz) and check out the amazing deals available to you in the town restaurants and shops etc during your stay, courtesy of our Harrogate Lifestyle Partners. There is a lift in the building. All breakfast packs will be in your apartment ready for when you check-in, so you can enjoy them at your leisure the following morning. Simply pre-order your breakfast pack a minimum of 48 hours prior to your arrival so we can arrange this for you. 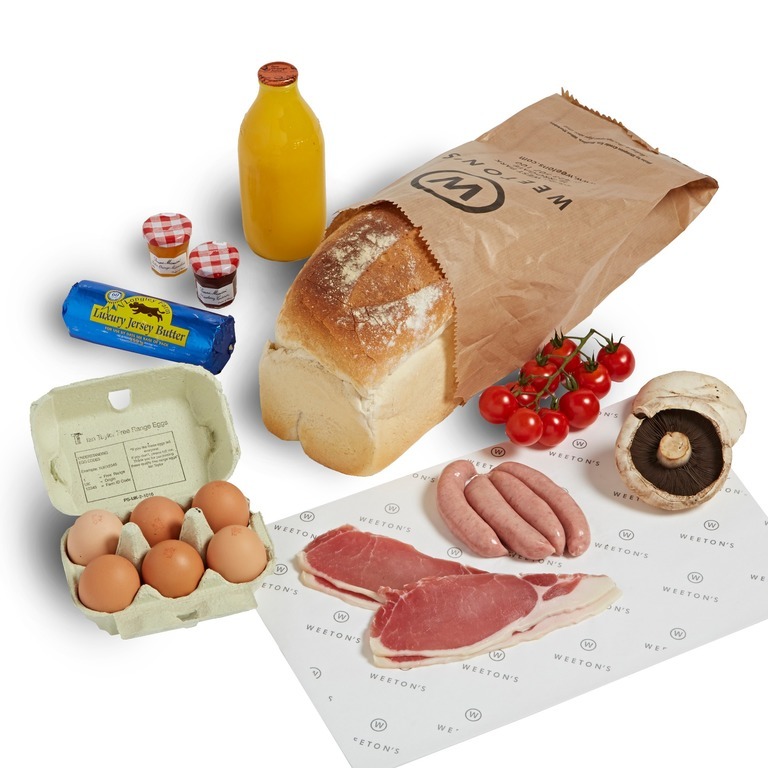 Farmhouse large white loaf, Milk, Butter, Weetons jam pot, Weetons marmalade pot, Dry cured bacon, Champion pork sausages, Eggs, Mushrooms, Tomatoes and Orange Juice. 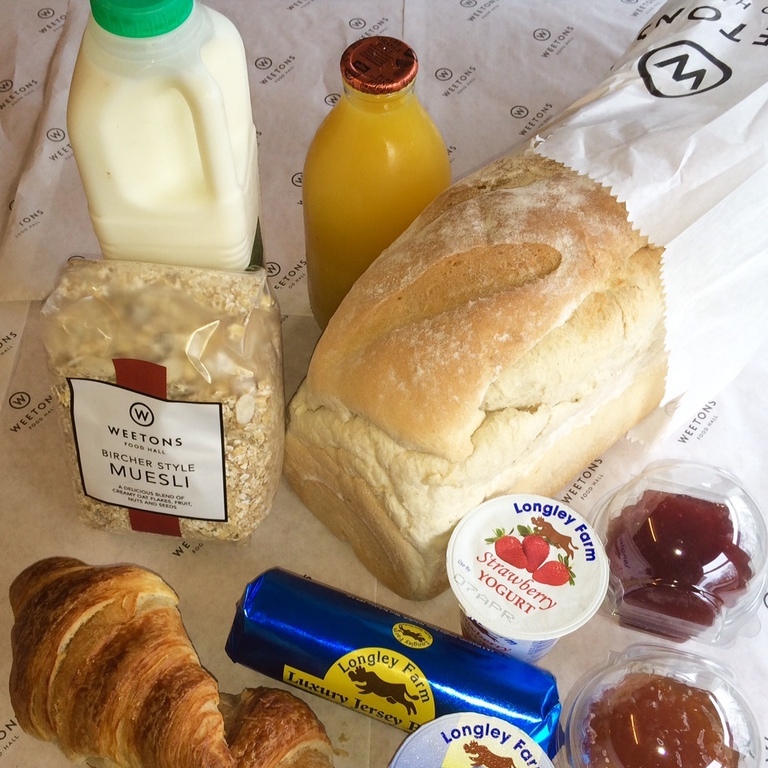 Farmhouse large white loaf, Milk, Butter, Weetons jam pot, Weetons marmalade pot, Croissant, Muesli, Yoghurt and Orange Juice.